This spacious condo comfortably sleeps 3. It has a King bed and a sectional sofa. 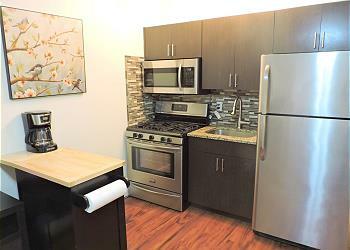 All new updated and freshly re furnished. Full kitchenette. 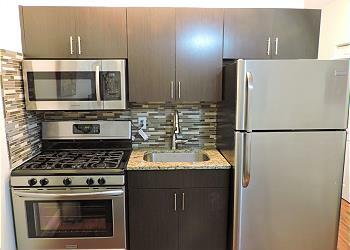 Stainless steel appliances, new cabinets and beautiful hard wood floors. 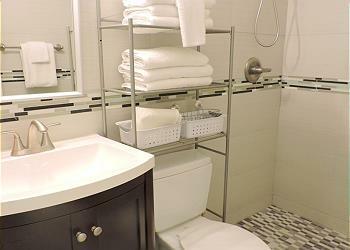 The bathroom is newly remodeled and updated too! Full large shower! Coin operated washer & dryer on site. 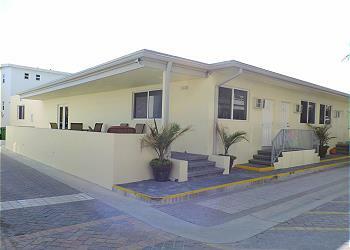 Prime location at Hollywood Beach & Boardwalk. Community terrace has full ocean view. Nice setting to sit and relax and enjoy the ocean air! Just mere steps to the sand and action! 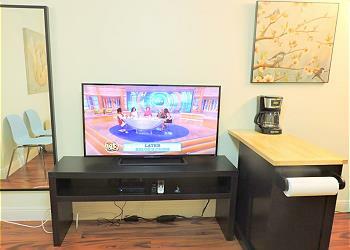 Free Wifi and cable TV too! A Parking Permit is included for on street parking. It is based on an available space you find. If you need a guaranteed space for your car, you will need to pay the garage or parking lot nearby . 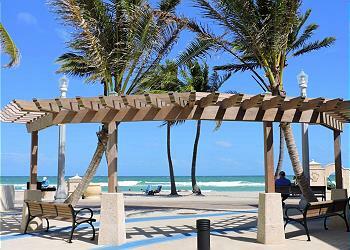 Hollywood Beach has it ALL! 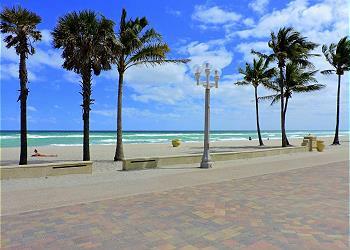 Beautiful, World Famous Hollywood Beach & Boardwalk!! You will be right there! So much to do if you desire activity. 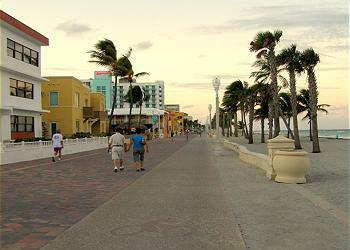 If not just relax and stroll the Beach & Boardwalk. 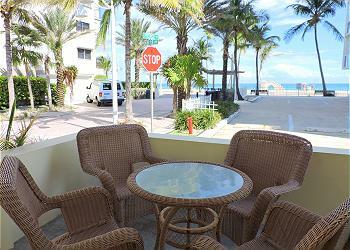 You are only 8 miles from The Hollywood/Ft Lauderdale Airport. 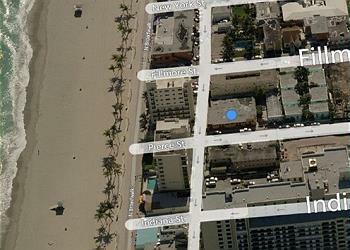 You are located on the North end of Hollywood Broadwalk. Close to all of the beach activities. 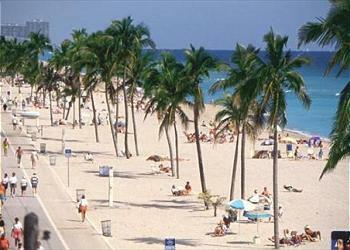 Hollywood is located in the middle of Ft Lauderdale and Miami so the sky is the limit on what you can do! 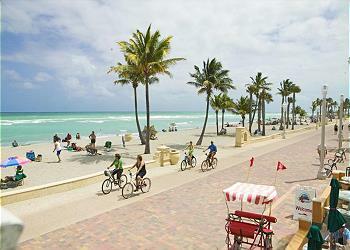 Hollywood has everything and is the ultimate Florida getaway. Great restaurants, shopping and family fun! 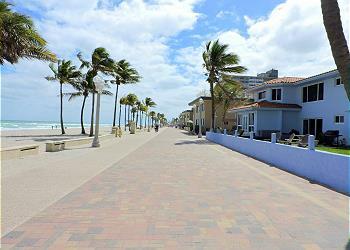 Hollywood Beach and Broadwalk was named one of the best beaches in the US! 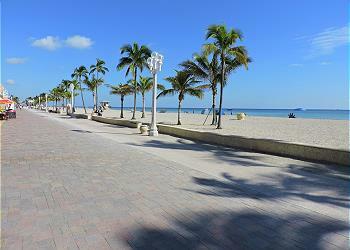 Bicycling, walking, jogging, strolling and people watching are just some of the activities you can enjoy right on the unique Broadwalk-just inches from the sand. Right down the street is John Lloyd State Park. Nearby Ann Kolb Nature Preserve and Kayaking. 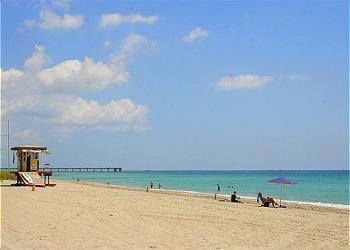 Come and let Hollywood Beach de-stress and impress you! We can't wait to share this beautiful setting with you!